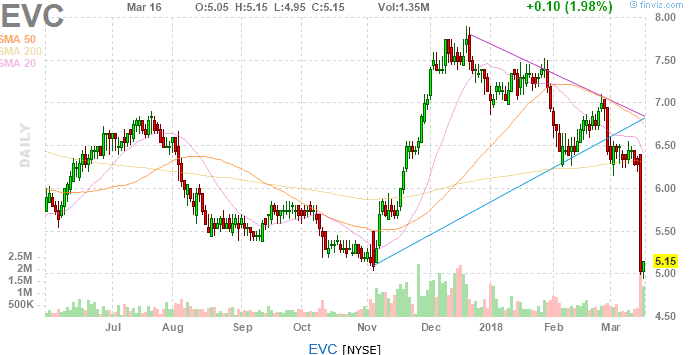 EVC – The company reported earnings on March 14 and the stock fell from $6.40 to under $5.00. I like to let these washouts settle for 3-5 days and Monday is day 3 so early to midweek this could be in play for long. I think there could be a quick 10% + gain to be made here. I would look for a stop somewhere in the 10% area from where my entry would be. 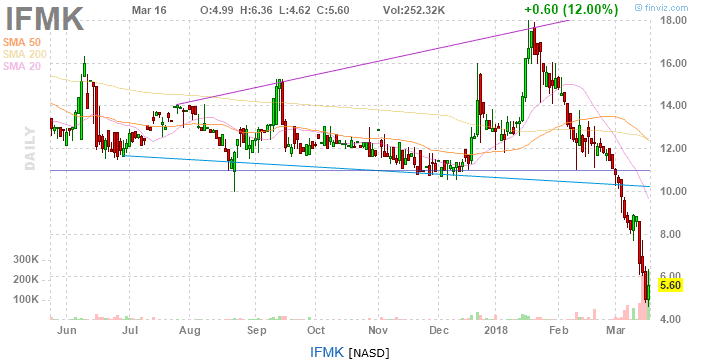 IFMK – This stock caught my attention as it has been straight down from $17.50 area in mid January to under $5.00 the last 2 trading days. Friday it had a small bounce. This stock does not have a ton of daily volume but it has been on the rise last week. The 50 and the 200 moving average are both hovering around $12.50 on the daily chart. If the stock opens in the $5.60 area where it closed Friday I will be tracking it for a long. I think this trade has a 20% upside in the near term. 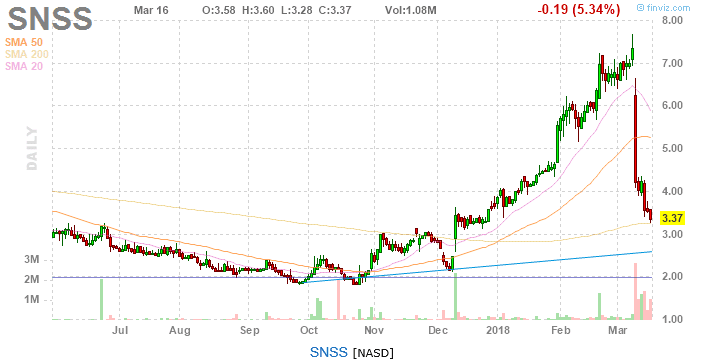 SNSS – This stock had earnings on March 8th and was trading in the mid $7’s and is now at $3.44. It found support at the daily 200 moving average on Friday at $3.30 area and bounced and closed at $3.44. I will be watching this for a curl, it looks like it is trying to setup on the daily. If the curl starts to form I like this long and think 10% – 20% in the near term is very possible. As usual, I would have a stop loss in the 10% area from where my entry would be. The markets are continuing to trade at lower volumes and the trades are not as plentiful. The best trading has been at the open so get in chat early, hit your goals and get out and enjoy the day.